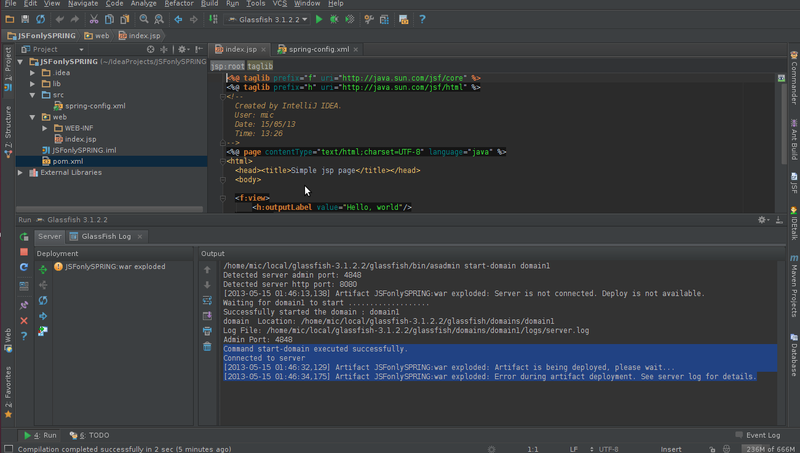 [2013-05-15 01:46:34,175] Artifact JSFonlySPRING:war exploded: Error during artifact deployment. See server log for details. 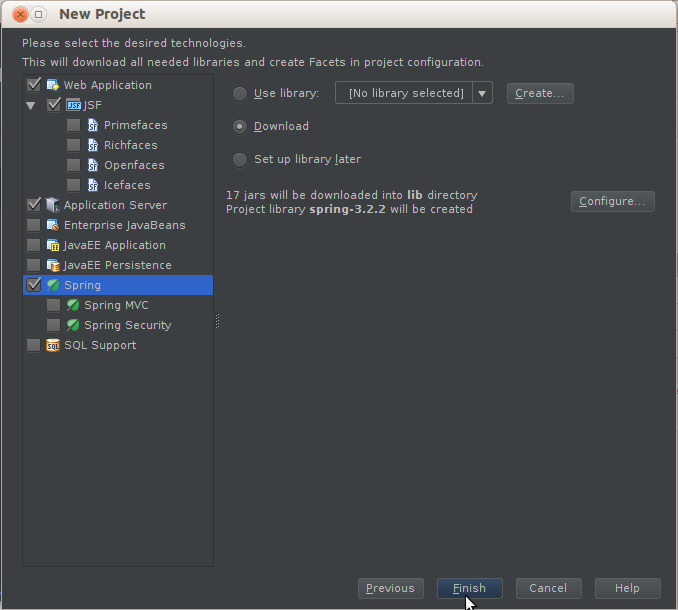 The project is a new Intellij generated project with JSF + Spring facet (see attached). It looks like your web-app is configured incorrectly in a way that it doesn't include that spring jsf jar among other dependencies.